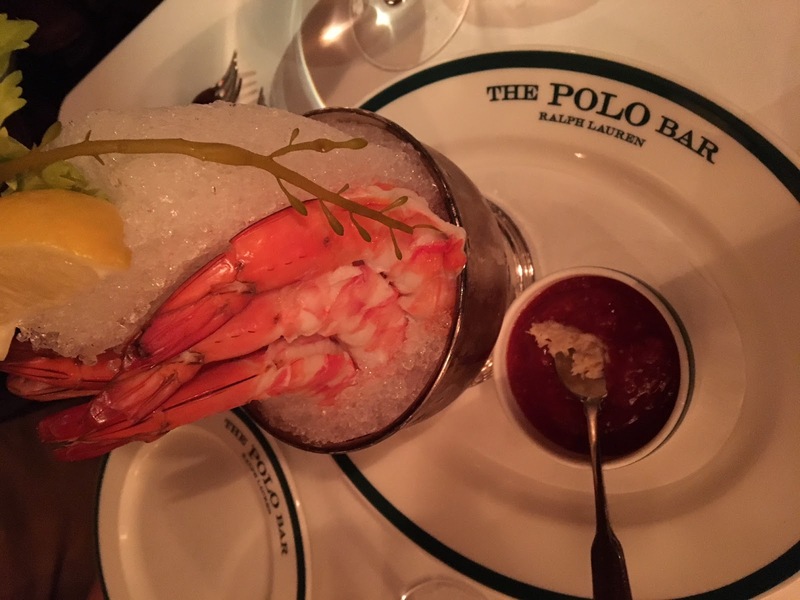 One of J and I's favorite dining establishments for the past 3 years has been The Polo Bar by Ralph Lauren on E. 55th Avenue, right across from our hotel, the St. Regis. 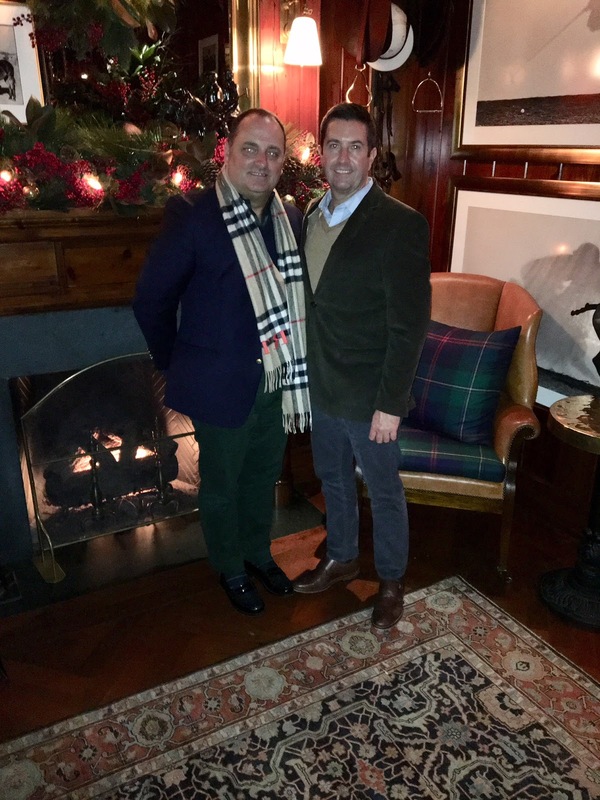 If you have followed this blog for a while, you know how much of a fan of anything Ralph Lauren I am. I love the style, the sophistication, and the ease of his designs. He is one of the truly great lifestyle designers. Reservations are difficult to get and must be made exactly one month before your trip. J is OCD when it comes to making our reservations annually. 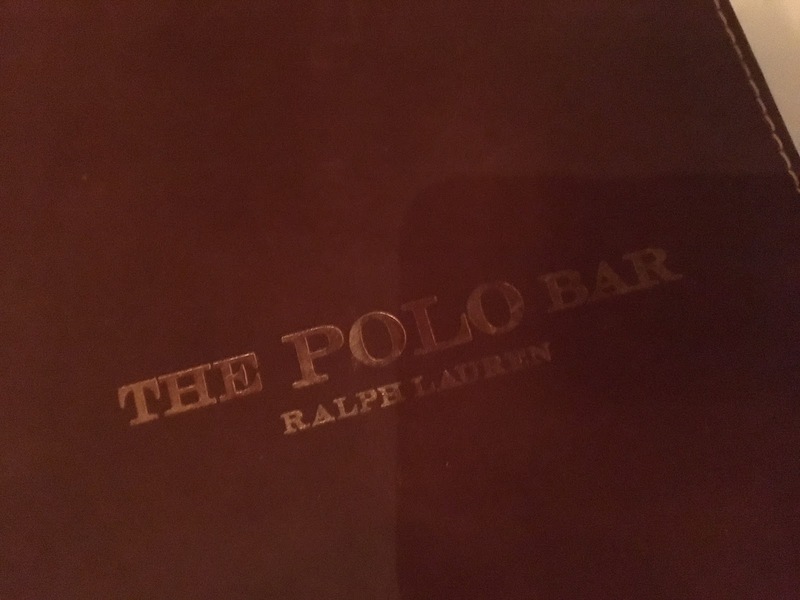 The well-appointed restaurant is definitely Ralph Lauren. Dark woods, rich colors, equestrian accessories are staples of RL. Even the dishes and silver salt and pepper shakers and condiment vessels are perfectly Ralph. The restaurant is always abuzz in fun and conversation. It is truly a lively place. J and I were surprised when we heard a "familiar" voice. Yes! 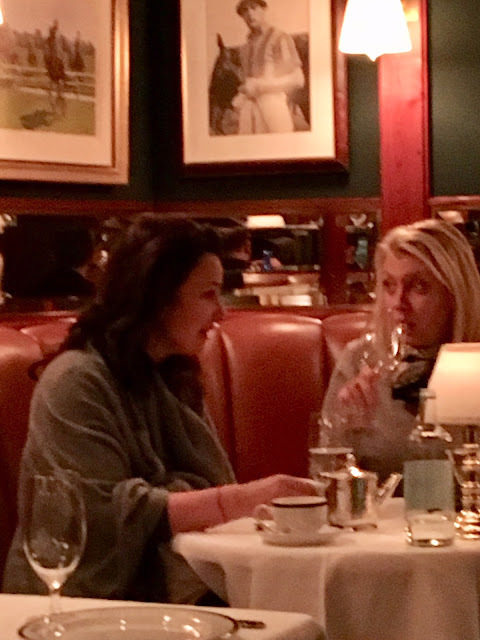 Fran Drescher, The Nanny, was seated with a friend in our section. 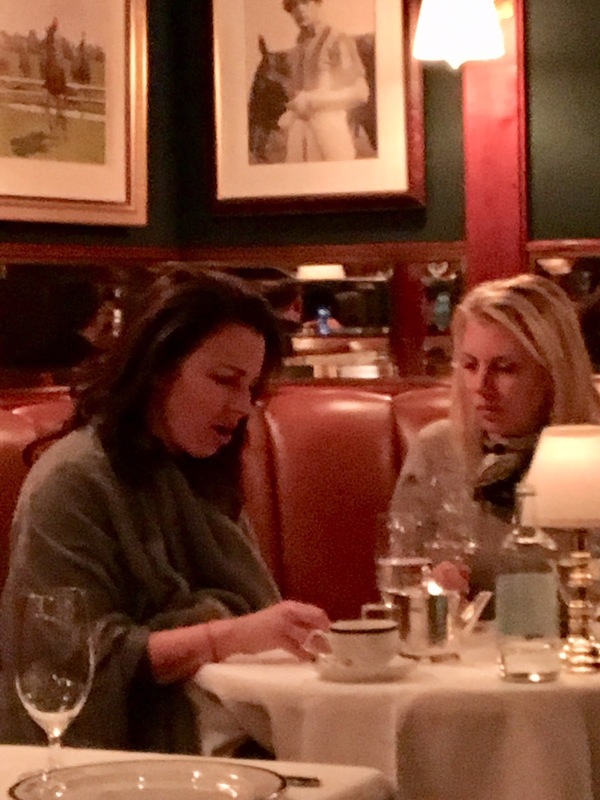 You all remember The Nanny right? Add The Polo Bar to your list when you visit NYC, but reservations are a MUST! After dinner, a reserved table was waiting for us in the bar upstairs. Cheers! 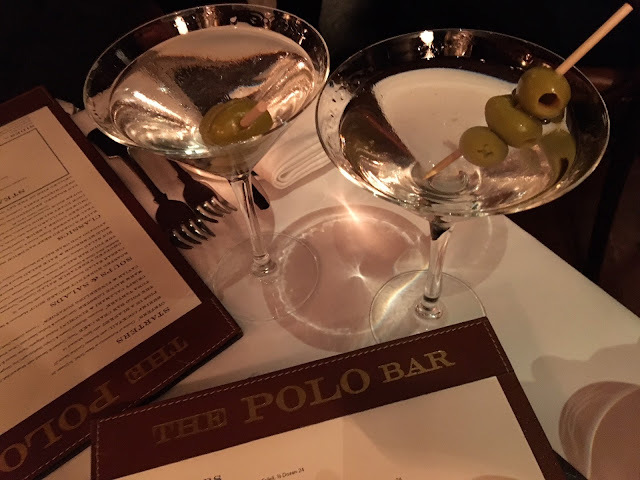 Cheers from The Polo Bar, y'all! You have such a fun life!! How fun to hob knob with the famous stars at the Polo Bar. What a gorgeous space to dine. Beautiful. Glad you and J can go there and enjoy it each year. Great pic of the two of you too. What a beautiful restaurant and so RL...classic & timeless. BTW...I recently heard that there is talk about "The Nanny" coming back. Not sure if that is true or not but one can hope! I love Ralph Lauren! He is my favorite designer.